As a frequent visitor to New York, there is no better way for me to get across the city than on the subway. And very soon, there will be no faster way to get on the subway than by tapping my Mastercard contactless card or device on the turnstile. New York’s iconic MetroCard has served the city well for almost 30 years – but technology has clearly moved on since it was first introduced. So I was very excited to hear yesterday that New York’s Metropolitan Transportation Authority (MTA) has asked our long-standing partners Cubic Transportation Systems to implement a new fare payment system across the city’s entire subway (and bus) system. 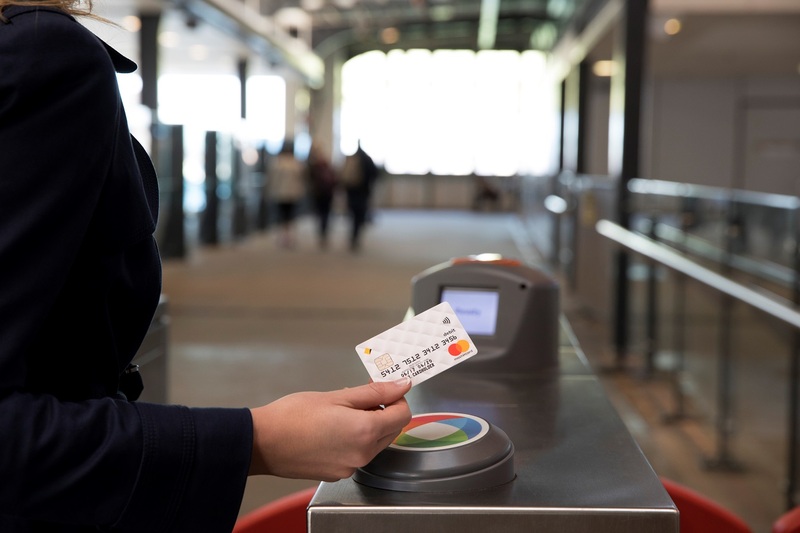 Starting in 2019, the new system will enable riders to tap a contactless payment device to unlock the turnstiles. Customers of Metro-North Railroad and Long Island Rail Road will also be able to merge their tickets into one integrated form of payment. Having seen the impact of similar programs in cities around the world, notably in my home city London, I can attest that this decision means it is a great day for New York. Put simply, people will no longer have to wait in line at a ticket machine, fumble for cash, or get stuck behind someone having to swipe their card multiple times. With this new system, people no longer need to pre-pay for rides. They can pay a fare directly just by tapping a contactless payment device – hence the phrase “pay as you go” – and the fare will be debited directly from the underlying account in the background. The technology will also enable new fare policies such as fare capping. Through daily capping with contactless, customers have saved a total of over £123 million. A further £50 million has also been saved in total thanks to weekly capping. Londoners seem increasingly inclined to pay with contactless-enabled mobile devices, which are now making up almost one in ten of all contactless journeys. Apple Pay, Android Pay and Samsung Pay can all be used to tap the Oyster readers, and more than 31 million journeys have been made using mobile phones in London in the last 12 months. In enabling this simple pay-as-you-go way to pay fares, New York joins other world cities like London, Chicago, Singapore and Sydney that have done the same. The world’s cities are steadily becoming more and more connected – I look forward to a future where all you need to ride on their transport systems is the Mastercard contactless card, phone or wearable that you habitually have on your person, whether you live there or are just visiting. Very well explained by will judge , New Yorkers are slow to change , but I’m sure this will be accepted quickly! Thanks ,Mastercard ! As we all know that if we are using the internet obviously we need to delete the browsing history and also we you are facing any type of error or hurdle you can visit this website. I must say that it’s a very good explanation. Thanks for that.